Dark matter is thought to account for 25 percent of the mass of the universe, but it has never been observed. Berkeley Lab researchers hope to change that with a new approach. 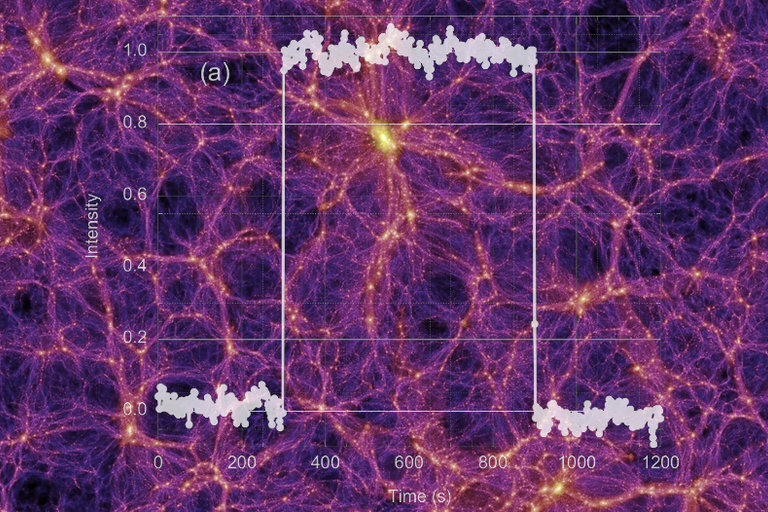 A	A	group of researchers say they may be able to look directly for dark matter in brand new way. By using a new combination of materials in the form of a so-called crystal “scintillator,” they should be able to detect dark matter that is smaller than any particles previously detected. This mass range, below the mass of WIMPS, or Weakly Interacting Massive Particles, has been largely unexplored, and researchers are hopeful that a search at a lower level of mass could produce a breakthrough in finding evidence of the elusive matter that makes up about one-quarter of the universe. There are several different dark matter detector experiments underway, and most of them are cryogenic detectors that operate underground at extremely low temperatures. Theoretically, they would detect the heat produced when a dark matter particle collides with materials in the detector. But so far all experiments have come up empty. Researchers at the US Department of Energy’s Lawrence Berkeley National Laboratory, however, have proposed building a new dark matter experiment using an ultrasensitive detector that incorporates crystals of gallium arsenide (GaAs), along with silicon and boron. 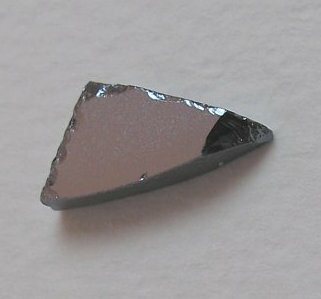 This combination of elements would cause the crystals to scintillate, or light up, during particle interactions. “The dark matter interactions would be detected as infrared photons (light) collected by external transition-edge sensors (TES) rather than phonons (heat),” said the lab’s Stephen Derenzo in an email to Seeker. He is the lead author of a study published this week in the Journal of Applied Physics. Derenzo said the new detector would be similar in construction to another experiment, called the Super Cryogenic Dark Matter Search (SuperCDMS) which uses low-temperature solid state detectors the size of hockey pucks. The original experiment was done in the Soudan Underground Laboratory, a former iron mine in Minnesota, and a larger experiment is being built in the deeper SNOLAB in Sudbury, Canada. It looks for dark matter in a type of interaction known as a nuclear recoil. But the proposed new detector would be able to look for much smaller than WIMPs. While astronomers and physicist don’t know what dark matter is, they can measure the effect of its gravity on stars and galaxies. In the 1930s, astronomer Fritz Zwicky first noticed that the motion of galaxies he was studying in the Coma cluster couldn’t be accounted for by the gravity from visible matter of stars, gas, and dust. Then in the 1970s, Vera Rubin and her colleagues determined there wasn't enough "normal" mass present in the galaxies they were studying to explain their rate of rotation. This presented a problem, as either our understanding of gravity was flawed, or there was about five times more mass in the galaxies than astronomers could see. Normal matter accounts for only about 5 percent of matter in the universe, whereas dark matter constitutes more than 25 percent. The remaining 70 percent is known as dark energy, which, like dark matter, has not been directly observed by researchers. Astronomers are convinced, however, that dark matter — as well as dark energy — exists and have tried to observe them in several ways, including in underground laboratories and supercolliders such as CERN in Switzerland. To build any type of dark matter detector, researchers have had to make some assumptions about the nature of the dark matter. Based on a number of theoretical studies, WIMPs were thought to be the likely main constituent of dark matter. Therefore, most detectors have been built to detect particles the size of WIMPs, thought to weigh more than 100 times the mass of a proton. Derenzo and his colleague wrote that despite overwhelming evidence for dark matter, recent large-scale experiments designed to detect nuclear recoils from dark matter particles with masses of WIMPs have not yet seen a definitive signal. This has motivated designs for experiments that search for dark matter particles in a different size range. Work toward constructing the detector is ongoing, Derenzo said. The cost for SuperCDMS is about $32 million. A much bigger but similar experiment called the Large Underground Xenon dark matter experiment (LUX) comes in at a cost of $55 million.